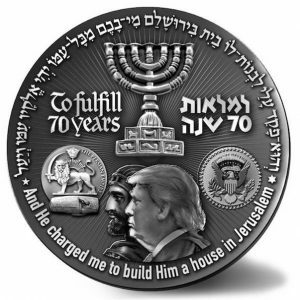 Archeologists in Israel just discovered a clay seal buried 40 feet below a parking lot in Jerusalem. 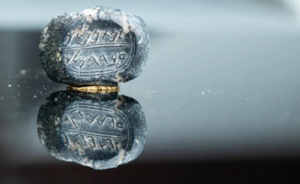 This tiny seal bears the name of one of King Josiah’s servants, Natan L’Melech, mentioned in 2 Kings 23:11. These stunning discoveries are becoming more common in recent years. Now, more than 54 names in the Bible have been discovered on objects by archeologists in Israel. Our God is graciously sending a message to all of Israel and the world that the Bible is historically accurate. This also proves that the Jewish people were in their land long before the Palestinians. All of this is bad news for those who claim that the Bible is a book of fairy tales. There is no people group on the face of the earth that loves their land like the Israelis. The land of Israel is a part of their Jewish birthright, history, and heart. It is a vital part of who they are. It goes much deeper than feelings of patriotism. 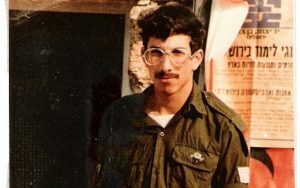 In a unique way, God has united the Jewish heart and the land of Israel. In Isaiah 62:4, the land is called “Beulah,” which is Hebrew for “married.” Going all the way back to the Abrahamic covenant 4,000 years ago, God married the Jewish people to the Promised Land. Speaking of the Jew and the land, God said, “For as a young man marrieth a virgin, so shall thy sons marry thee: and as the bridegroom rejoiceth over the bride, so shall thy God rejoice over thee” (Isaiah 62:5). When people attempt to separate the Jewish people from the land God has given to them, they are wrestling with God. They are attempting to divide what God is united. God has married the Jew to the land. “What therefore God hath joined together, let not man put asunder” (Mathew 19:6). Israel continues to be the land that flows with milk and honey. In Ezekiel 20:6, the Bible speaks of the land of Israel as a land “flowing with milk and honey, which is the glory of all lands.” Israel is one of the few countries in the world that provides its citizens with all the food they eat. They import very little. 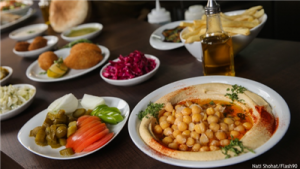 I know from my tours that the food in Israel is fresh, delicious, tasty, and prepared by Israeli chefs in the hotels where we stay. They also provide us with an incredible variety of foods at each meal. 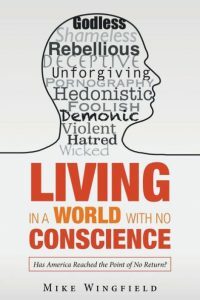 Living in a World with No Conscience is a hard-hitting, passionate presentation of the true spiritual condition of our nation and world — all through the lens of the Bible. Author Mike Wingfield attempts to demonstrate that America and our world are extremely close to reaching the spiritual point of no return that is leading to the final global divine judgment prescribed in the Bible. At the heart of this is the silencing of the collective conscience of our nation and world. God has warned, “My spirit will not always strive with man” (Genesis 6:3). What does this mean? What do we need to do? Living in a World with No Conscience will help you discover the vital answers to these questions. Those who do not know Jesus Christ are oblivious to where we are and what is about to transpire in the world — and an overwhelming number of believers, including pastors, do not grasp the gravity of what is taking place in the American and in the global culture. Living in a World with No Conscience can help us to see our world as God sees it, and provide us with a much needed wake-up call! This softback cover book, 166 pages, is available at Amazon Books, Barnes and Nobel, or you can order it from Prophecy Today Ministries (PTM). PTM sells the book for $12.00, plus shipping. Will President Trump Support the Rebuilding of the Temple? Many Jewish people in Israel were deeply moved by the support of U.S.
president Donald Trump’s for the moving the U.S. Embassy to Jerusalem. In their minds, this has set in motion the international movement toward the recognition of Jerusalem as the capital of Israel. Next on their list of prayers is the rebuilding of the Jewish temple on the Temple Mount in Jerusalem. 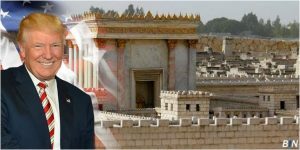 A growing number of Israelis believe President Trump will be used of God to give them permission to take control of the Temple Mount and rebuild their temple. They have been waiting for this since the destruction of the last temple in 70 A.D. by the Romans. silhouettes of King Cyrus, the Persian King who supported the Jewish return to Jerusalem after the Babylonian Captivity, and President Donald Trump. Only time will tell if this hope will be realized soon. Many events and trends in the Middle East tell us we are living in very unusual times when God is advancing His prophetic agenda of the last days.